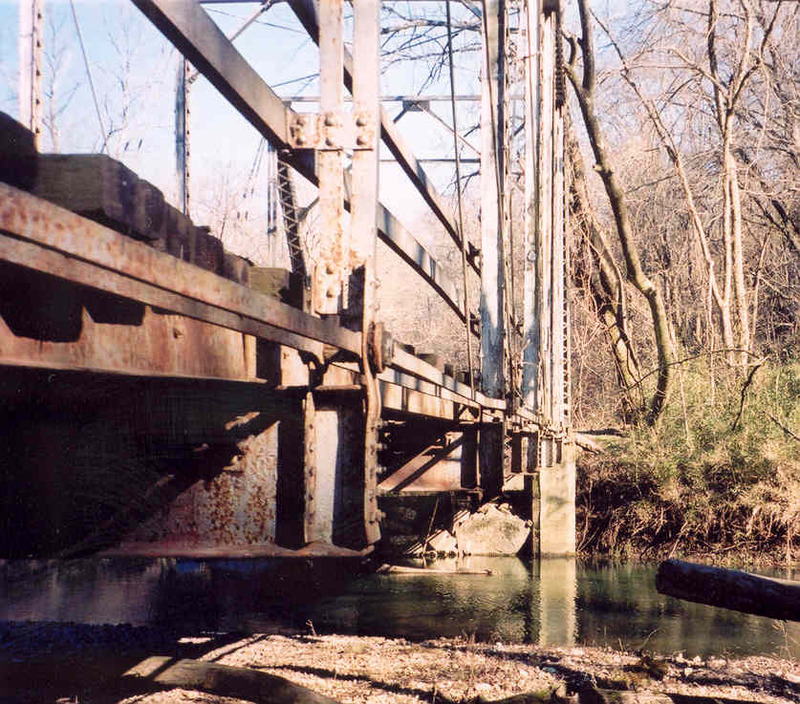 Ballard Creek Bridge, Adair Co. 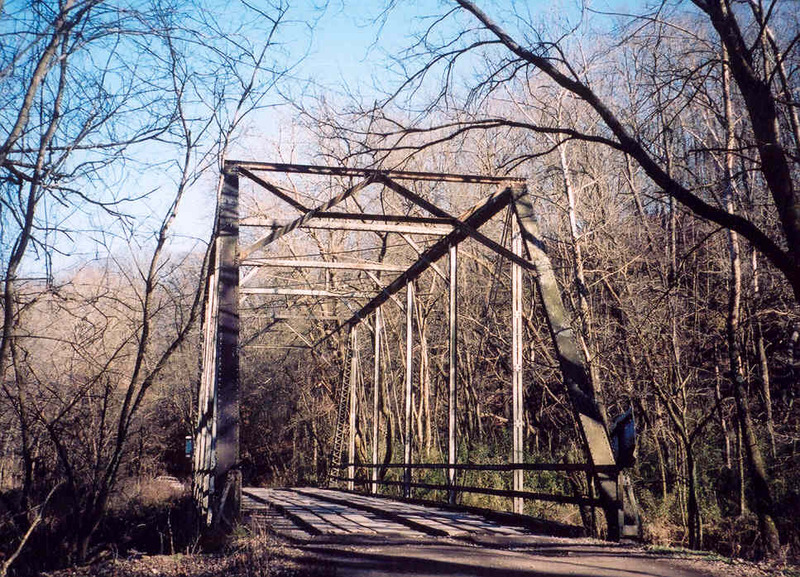 This 100-foot long Pratt pin-connected thru truss is located just east of US 59 and the town of Watts. This bridge was built in 1929 and is a good example of a typical pin-connected bridge. Below, a view of the lower chord, which is a chain of eye bars in a pin-connected bridge.